In warehouse management, the stakes remain at an all-time high. Because warehouses don’t exist in a vacuum and one problem usually suggests the presence of others. To say the least, an isolated instance is rarely just that. Consider a common situation where a stock item is misplaced. Easy fix, right? Just move the item back to its designated area. Problem solved! 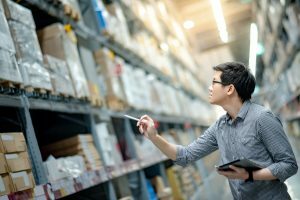 An error in inventory is almost always more than just absentmindedness and is a common side effect of improper receipt and purchase order management—a misstep that can lead to increased expenses, lost revenue, and low productivity. Let’s consider another popular method, say, product picking and manually entering SKU’s. This may have suited the industry 20 years ago, but technology has proven time and time again that the margin for error with manual data entry is too costly. Luckily, technology like the WiSys Warehouse Management System is fully equipped to handle these common issues and creates an agile, real-time manufacturing system. Our technology utilizes the best and most innovative practices in the manufacturing and supply chain industries, without additional output from you. Our agile system, called Agility, gives customers a distinct competitive advantage. It is designed to incorporate the best of just-in-time and lean manufacturing so customers can adapt to rapidly changing consumer demands and market conditions. Concerned about flexibility or the ability to scale? Don’t be, our purpose-built solutions are constructed in such a way that you can completely mold the technology to incorporate your existing processes, without writing a single line of code. Additionally, you can start with one or one hundred devices – the choice is yours. Our platform grows to fit your needs so that you never have to find an environment where additional bandwidth is needed. What are you waiting for? Your warehouse management depends on this.